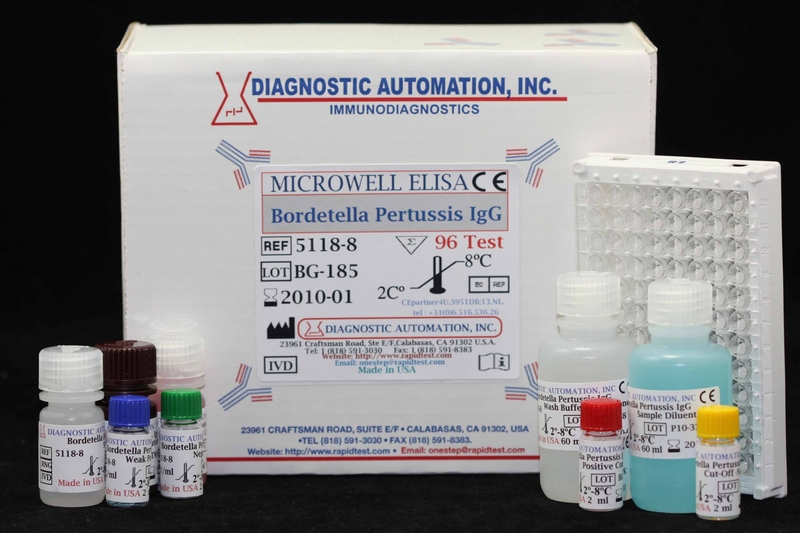 Diagnostic Automation Inc. offers a Syphilis (TPA) IgG/IgM ELISA kit, which is an enzyme-linked immunosorbent assay for the qualitative detection of antibodies to Treponema palladium (TP) in serum or plasma. The Syphilis (TPA) IgG/IgM ELISA kit, like many Blood Bank ELISA kits, is for in-vitro diagnostic use only. As in other Blood Bank ELISA Kits, the Syphilis IgG/IgM ELISA Kit is designed as an aid for screening of blood donors, and as an aid in diagnosis of symptoms related to infection with Syphilis. Specificity of the Syphilis IgG/IgM ELISA kit is 99.91%. in culture mean that serological techniques play a major role in the diagnosis of syphilis and treatment follow-up. Syphilis IgG/IgM Elisa is an enzyme-linked immunosorbent assay for the qualitative detection of antibodies to Treponema palladium (TP) in human serum/plasma.The Syphilis IgG/IgM enzyme immunoassay format allows use of a micorplate reader which eliminates subjective interpretation of results and the test procedure can be automated for high-volume testing. Product inserts for most Blood Bank ELISA kits follow a similar method. See the Syphilis (TPA) IgG/IgM ELISA Kit product insert for details on preparation, procedures, quality control, and test result interpretation. 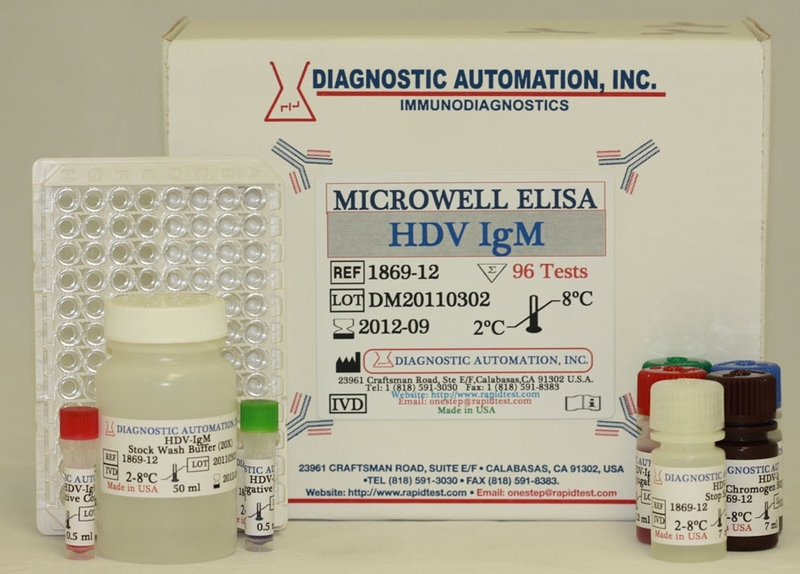 Diagnostic Automation Inc. also provides other Blood Bank ELISA Kits. For more information about ELISA Kits, Rapid Tests, IFA Kits, CLIA Test Kits, or Serology tests, please see our website home page, or contact our Customer Service Representatives at 818-591-3030. 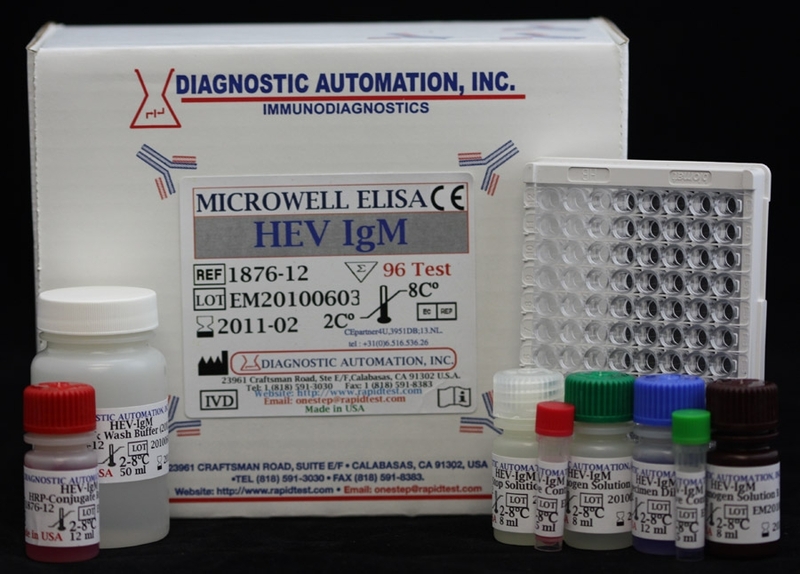 Diagnostic Automation Syphilis IgG/IgM ELISA Test kit utilizes antigen sandwich enzyme-linked method to detect antibodies to Treponema palladium (TP) in human serum/plasma. Our Syphilis IgG/IgM ELISA kit uses a small sample volume of 20ul with short incubation time of about one hour. We provide ready to use reagents in our Syphilis ELISA kit and it includes positive and negative controls. There are no vaccine for syphilis available as of 2014 so it is very important to diagnose and treat this disease. Syphilis is usually a sexually transmitted disease, but it is occasionally acquired by direct nonsexual contact with an infected person, and it can also be acquired by an unborn fetus through infection in the mother. T. pallidum bacterium is the causative agent of syphilis. Untreated syphilis progresses in a series of distinct stages primary, secondary, latent, and tertiary. The symptoms associated with Syphilis include general body rash and palms of the hands and the soles of the feet, white patches in mouth or genital area , wart-like growths often in the genital area and lesions. Penicillin has been the drug of choice for treatment of syphilis. But in the 1990 scientists developed an alternative to penicillin therapy called Azithromycin, is an attractive choice because it can be given orally as opposed to penicillin which must be delivered intramuscularly in large amounts. 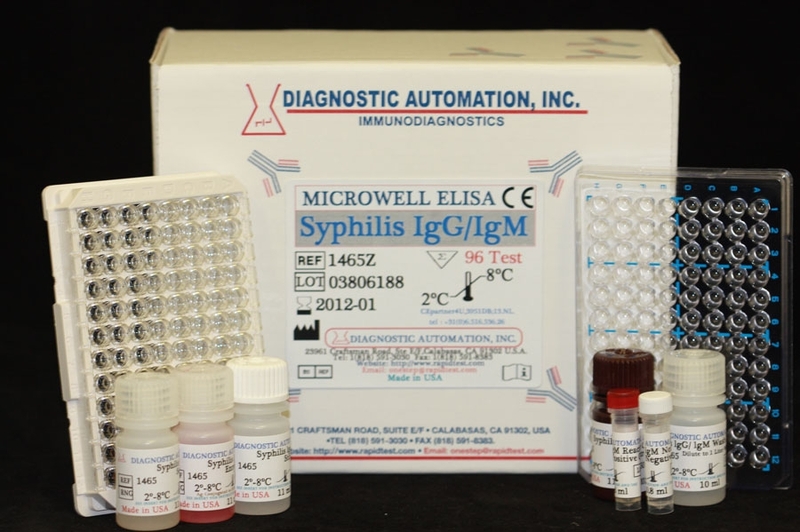 Diagnostic Automation/Cortez Diagnostic Syphilis ELISA test has been the test of choice for many medical field professionals to diagnose Syphilis accurately and quickly. Please check other related products here: Infectious Disease ELISA kits.